"Shrek Forever After" roared its way to the top of the box office, making $71.3 million in its opening weekend. But the fourth film in the monster franchise from DreamWorks Animation had the weakest debut of all "Shrek" sequels, according to studio estimates Sunday. "Shrek 2," from 2004, opened with 8 million. "Shrek the Third," from 2007, made 1.6 million in its first weekend. And the latest installment was available for the first time in 3-D and IMAX 3-D, where ticket prices are higher — up to in Manhattan. "Shrek" made just under million on IMAX screens, or 7 percent of the film's weekend gross. This time, Shrek — voiced as always by Mike Myers — is experiencing a mid-life crisis, so he makes a deal with Rumpelstiltskin to live as a fearsome ogre again for one day. Cameron Diaz, Eddie Murphy and Antonio Banderas return to the voice cast. "We're obviously happy to be the No. 1 movie, which we anticipated," said Anne Globe, head of worldwide marketing for DreamWorks Animation. "It's a little lower than we anticipated but it's still No. 4 among all animated openings of all time, behind the first two `Shrek' sequels and `The Simpsons (Movie),'" which opened with million in 2007. 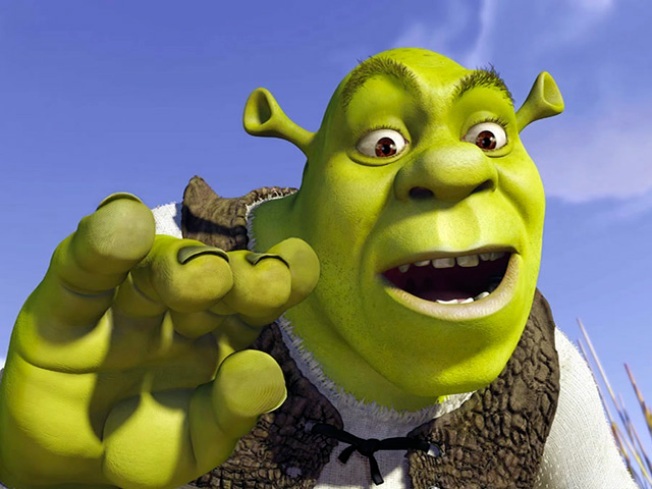 In explaining the comparatively smaller debut for "Shrek Forever After," Globe said: "Part of it is the high bar the `Shrek' franchise has set for itself. With the fourth film, we're kind of in uncharted territory — there's never been a fourth in (an animated) series — and it's not where you start, it's where you finish." Paul Dergarabedian, box office analyst for Hollywood.com, said the cost of tickets may have been too high for some families. "I think it's a very pragmatic situation. Families want to see `Shrek,' it's the summer, and right now for kids there's not a whole lot out there so it's kind of a no-brainer," he said. "Then people look in their pocketbooks and go, `Whoa.'" Having said that, Dergarabedian said he expects "Shrek Forever After" will have legs throughout the summer, similar to another recent 3-D movie from DreamWorks Animation, "How to Train Your Dragon." It opened in March with .7 million and has gone on to make nearly 1 million. Last week's No. 1 movie, "Iron Man 2," dropped to second place with .6 million. The superhero sequel from Paramount Pictures has now made over 1 million in three weeks. The other new wide release, "MacGruber," opened in sixth place with a disappointing .1 million. Based on the "Saturday Night Live" sketch, the Universal Pictures comedy stars Will Forte as a bumbling version of the mulleted '80s television character "MacGyver," who was famous for his makeshift method of defusing threats. But "MacGruber" was a relatively low-risk production because it cost under million to make, which was offset by tax credits and foreign sales, said Geoffrey Ammer, head of worldwide marketing for Relativity Media, which produced the film. "The honest answer is, it never expanded beyond its `SNL' audience," Ammer said. "We took the picture to (the) South by Southwest (film festival), it got a great response, we took a shot with the picture and we were disappointed but by no means were we at risk at any point." 1. "Shrek Forever After," .3 million. 2. "Iron Man 2," .6 million. 3. "Robin Hood," .7 million. 4. "Letters to Juliet," .1 million. 5. "Just Wright," .2 million. 7. "Date Night," .8 million. 8. "A Nightmare on Elm Street," .3 million. 9. "How to Train Your Dragon," .9 million.